Start your paddle from the sandy Lakeside Beach and head out on the Big Blue. Paddle a course marked by large buoys in both Nevada and California. Finish on the beach! Close to shore age appropriate distances around our buoy course. Cheer them on! Click here to see the lodging offers provided through the Lake Tahoe Marathon. Do you have what it takes to be a true Lake Tahoe Waterman or Women? 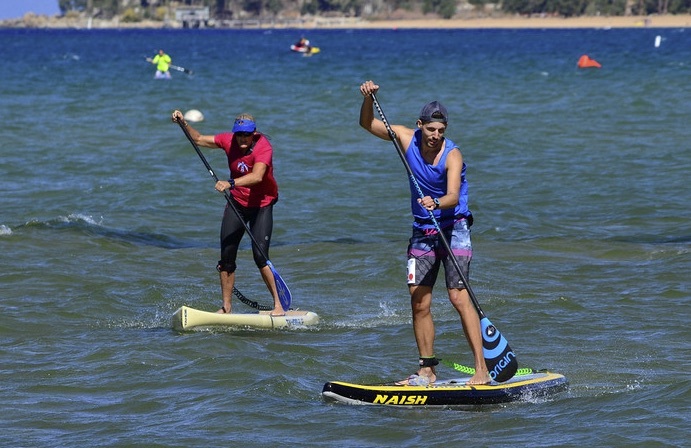 The Big Blue Waterman Challenge combines stand-up paddle board (SUP), swimming and beach running. The format is a heat racing elimination where top finishers advance round by round to the finals. Consolation races and kids divisions. Are you good at one, two or all three stages of this exciting and fun multisport challenge? Then come on out and give it a tri. 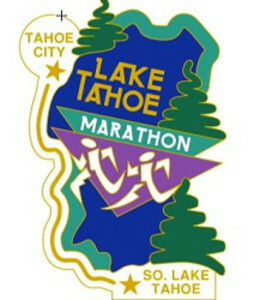 Many of the Lake Tahoe Marathon events are occurring this same weekend. Click here for a schedule and plan a multisport family weekend. Click here for Marathon event registration. All paddling craft welcome! We will score in categories dependent on entry. $15.00 discount for Juniors Under 17 years of age as of 12/31 in this race year.